Chef Anthony Strong of Locanda is sharing trade secrets. The dining room in this new Roman-style Italian restaurant has been set up as a makeshift classroom and Strong is surrounded by eager young chefs-in-training aged 7-12. The students, participants in the Sprouts Cooking Club summer camp, are watching, following instructions, and — mostly — keeping their personal knives in knife covers with their names on them until instructed otherwise. Strong and the students are making basil oil. He walks them in groups into Locanda’s narrow kitchen to blanch the basil (“Your recipe says 15 seconds, but we only did it for seven”), then turns on the blender with the help of an eight-year-old assistant, and, finally, has each group pour their batch of green oil through a cheesecloth stretched across the top of a glass cup to filter out the chopped leaves. Then: the trade secret. Strong pulls out a vat of vitamin C. “In restaurants, we’ll add a little of this to keep the oil green,” he says. The students assemble salads in their groups by tossing local arugula in the basil oil and placing it alongside sliced heirloom tomatoes and a mound of fresh mozzarella they watched Strong pull earlier. They’re excited to be here, and at least two boys say they want to be chefs like the ones they see on the Food Network. But they probably don’t realize how rare it is to have almost two hours of undisturbed instruction time from an accomplished, driven chef whose approach to opening Locanda has involved vowing never to sleep in again. 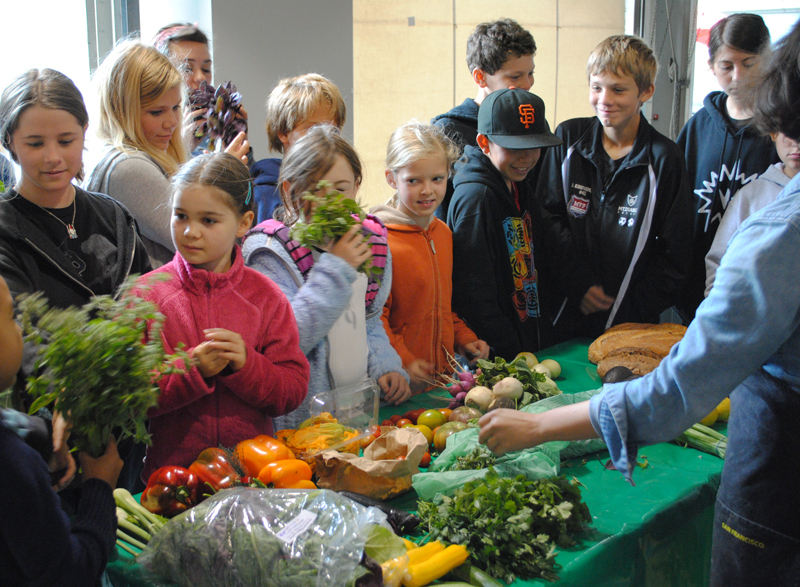 Until recently, Sprouts classes and camps have taken place in Berkeley; this summer, thanks to a partnership with CUESA, the students have had the CUESA kitchen in the Ferry Building as a home base (a location that has allowed for convenient commuting for kids from around the Bay Area). With the help of market chef Sarah Henkin, they’ve also had the chance to experiment with ingredients from the weekday farmers markets. At 24, Rogers has been running Sprouts for nearly five years, and she’s engaged an impressive list of chefs and food sponsors (from Straus Family Creamery to Thomas McNaughton and Ferran Adrià). The primary challenge, says Rogers, now that the program is established, is making sure the education is hands-on enough. “Because that’s what they’ll remember. That’s what I remember when I’m taught anything — is how to do it hands-on.” She’s devised a system of mostly college-aged counselors and junior counselors (alums of the program ages 13-17), so that the classes have an average of three counselors for every student. Rogers is also committed to making the classes and camps as accessible as possible. She sets aside ten percent of the organization’s budget for scholarships. In fact, last year, Sprouts offered full and partial scholarship to around 65 students. 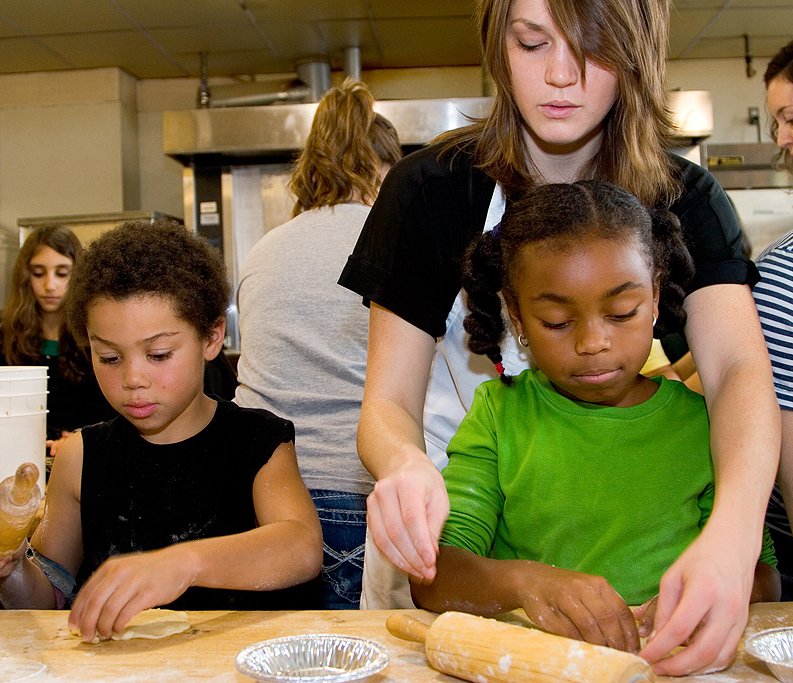 Sprouts also leads international culinary trips (with parents and chaperones) and partners with community groups to offer classes with Kaiser Permanente and the Seneca Center, a mental health treatment and support service center for youth. On this day, at Locanda, the kids put the finishing touches on their arugula/tomato/mozzarella salads and dig in. Chef Strong banters with some of the older kids, and talks playfully about offering them jobs. 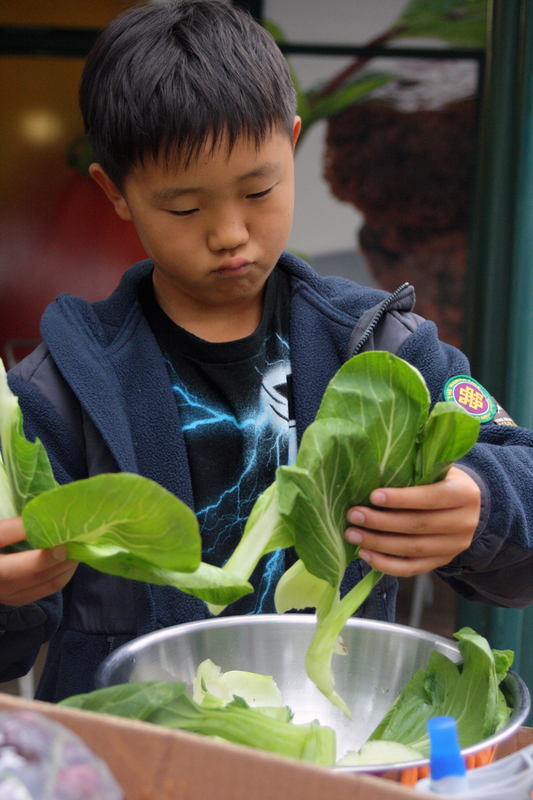 See a video about Sprouts Cooking Club.